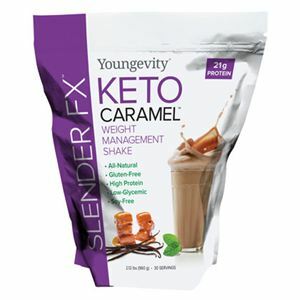 Now you can truly enjoy your low-carb or low-glycemic diet with Slender FX™ Keto Caramel™ Weight Management Bars that will restore your nutrient levels as well as your enjoyment of life! 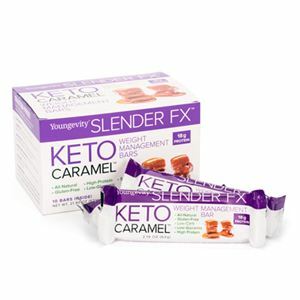 Slender FX™ Keto Caramel™ Weight Management Bars are not only delicious, filling and satisfying, but they also deliver the energy and essential nutrients you need to sail through your low-carb diet with maximum comfort. 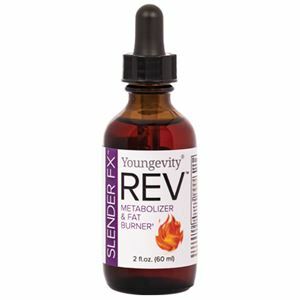 Whether yours is a low-carb or reduced-carb diet, the greatest challenge is to find the enjoyable foods that fill you up, give you energy and taste great, without the carbs that can ruin your diet. 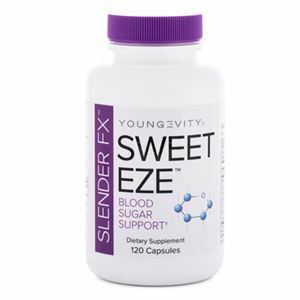 These delicious bars will help replenish the nutrients your body needs in order to stay energized and healthy through the metabolic changes of low-carb dieting. Each box includes 10 Bars. 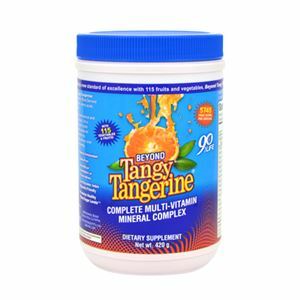 Vitamin A, Vitamin C, Calcium, Iron, Vitamin D, Vitamin E, Thiamin, Riboflavin, Niacin, Vitamin B6, Folic Acid, Vitamin B12, Biotin, Pantothenic Acid, Phosphorus, Iodine, Magnesium, Zinc, Selenium, Copper, Manganese, Slender FX Keto Caramel Energizing non-GMO protein blend (microfiltered whey protein isolate, whey protein crisps, rice protein, pea protein, calcium, caseinate; protein crisps also contain tapioca starch, rice flour, malt and salt), Slender FX Keto Caramel Sweetness Complex (maltitol, fructooligosaccharides [FOS]), almond slices, almond meal, Sugar Free Chocolate Coating (maltitol, palm kernel oil, nonfat dry milk, cocoa [processed with alkali], natural flavors) , soluble oligosaccharide, natural flavor, almond butter, vegetable glycerin, Slender FX Keto Caramel Vitamin & Mineral Blend (calcium phosphate, magnesium oxide, ascorbic acid, Vitamin E, ferrous fumarate, biotin, niacinamide, Vitamin A palmitate, zinc oxide, copper gluconate, calcium pantothenate, pyridoxine hydrochloride, manganese sulfate, riboflavin, thiamine, mononitrate, folic acid, selenium, potassium iodide, methycobalamin), Keto Caramel™ Metabolic Blend (Super CitiMax®, Carnitine, Taurine, Apple Cider Vinegar), palm oil, natural sea salt crystals, Keto Caramel™ Whole Food Blend ( strawberry, papaya, banana, parsley, spinach, orange, apricot, peach, tomato, cranberry, red raspberry, pineapple, broccoli, floret, olive leaf, kale leaf, green tea, dandelion greens, apple, blackcurrant, red wine grape, artichoke flower, reishi mushroom, bladdewrack, hijiki, spirulina, nori, kombu, Norwegian kelp, wakame, fucaceae, brown algae, Irish moss, dulse, chlorella, beet greens, green oats, chicory, collards, parsnips, green zucchini, turnip greens, peas, mustard greens, cabbage leaf, cayenne, onion bulb, shiitake mushroom, celery seed, carrot root, garlic clove, camu-camu), Keto Caramel™ Enzyme Blend (Bromelain, Papain, Protease), Keto Caramel™ Flora (Lactobacillus acidophilus, Bifidobacterium longum and B. bifidum) and rice bran.